No matter whether you're cutting firewood or felling a whole tree, we've got the right chainsaw for you. Our experts can help you choose the perfect model for your needs. With a huge choice of bar sizes and both top handle and rear handle models, you're sure to find what you're looking for. We carefully select the equipment we stock and choose ECHO Chainsaws because of their quality, reliability and performance. ECHO chainsaws are lightweight, easy to start and smooth-running - with vibration reduction technology to make using them for long periods as comfortable and safe as possible. An ECHO Chainsaw is built to tackle the toughest jobs. The commercial-grade components and reliable high performance 2-stroke engine mean that you can use your chainsaw every day for years without worry. 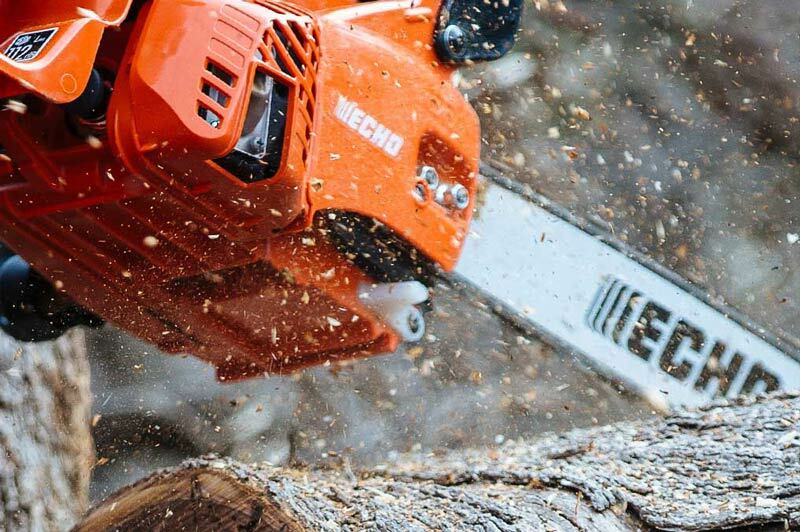 ECHO's high quality combined with out excellent servicing and parts service mean that you'll get years of dependable performance from your chainsaw. Pop by and see our range of Chainsaws for yourself, or you can browse through our collection of equipment online.